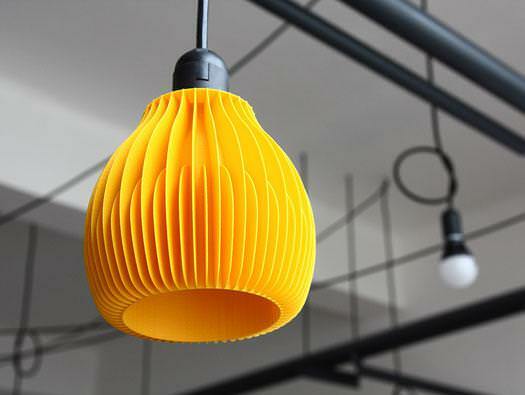 Designer Martin Zampach has created a series of lampshades with fins 3D printed of environmentally friendly corn-starch based PLA material. 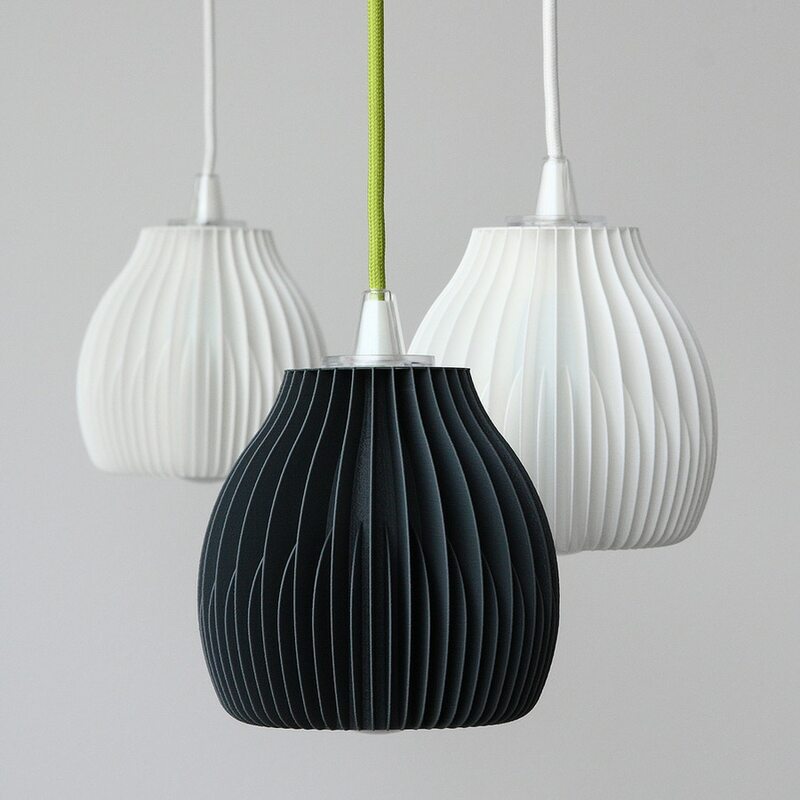 Details: Zampach, Art Director at Prague-based 3D printer manufacturer Be3D, designed the pendant lamps as well as vases, called Wave, with a similar fin structure reminiscent of the heat sinks commonly found on LED light bulbs. 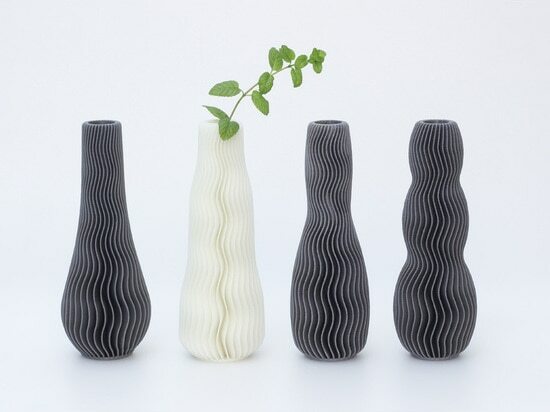 Both the vases and the vases are 3D printed using PLA, aka bioplastic. 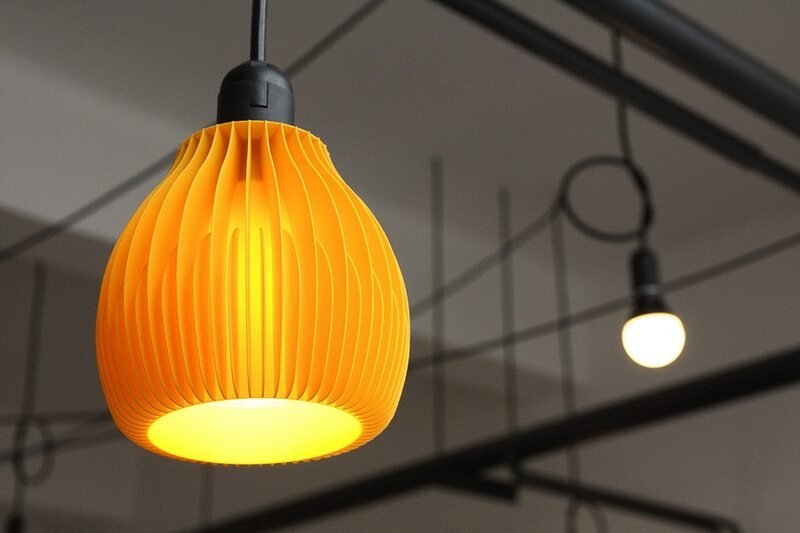 “This is in no way just a matter of beauty or aesthetics; shadings are designed especially for LED lights and are fully operational. You just need to screw the shield onto the light bulb thread and that’s it.” says Be3D. 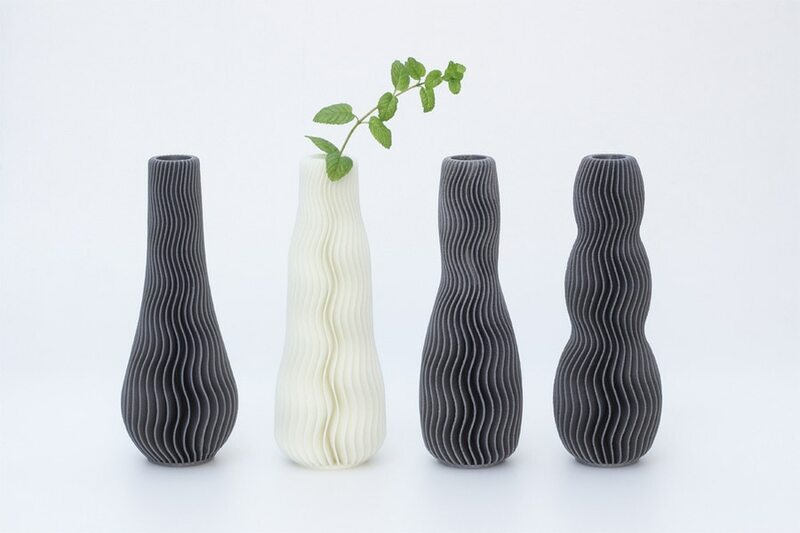 Designer: Martin Zampach studied industrial design at Tomas Bata University in Zlin, Czech Republic, where he eventually graduated. He received an intership for Art Academy in Cracow, Poland. 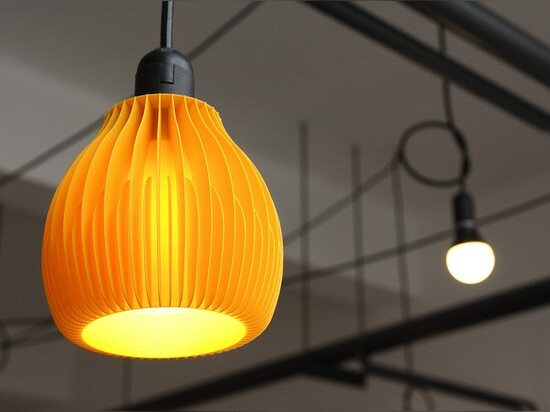 His carreer includes work as a designer in an architect’s studio in Brasil and for CuldeSac studio in Spanish Valencia. 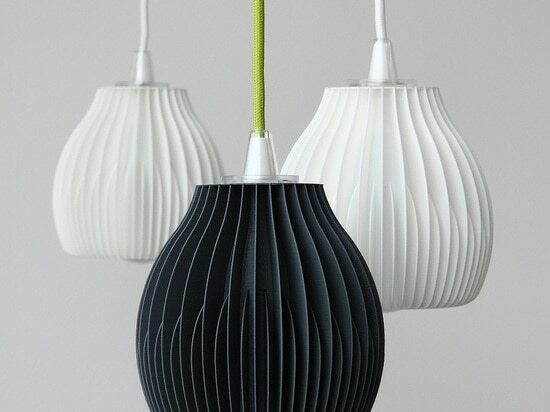 He was also a designer in Prague’s Flex/cocoon studio, and worked in Moscow with Art Lebedev Studio.